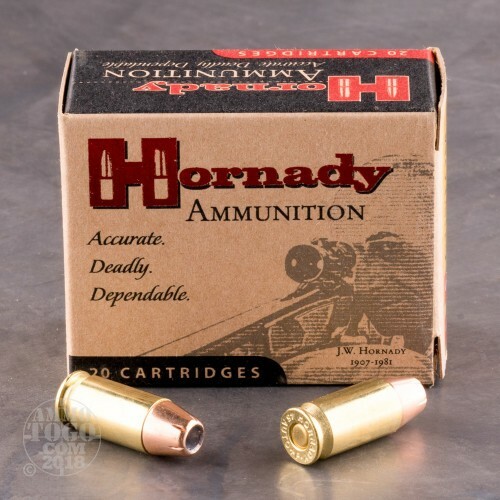 Hornady began as a simple, two-man operation in 1949. From those humble beginnings, the company has grown to become a world leader in the ammo industry, focusing on innovation, quality, and performance. Law enforcement officers, snipers, and tactical teams across the globe choose Hornady loads for their quality and flawless performance. 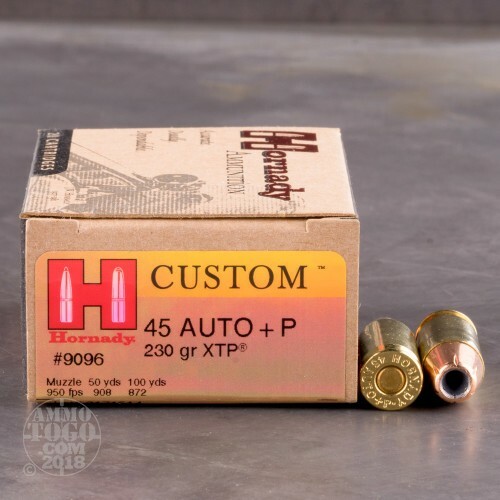 Hornady's XTP family of products are custom grade ammunition with some of the tightest tolerances in the industry. 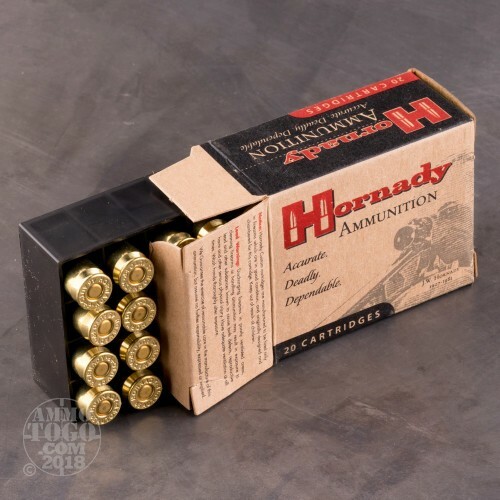 This package contains 200 rounds of Hornady Custom .45 ACP (Auto) ammunition. 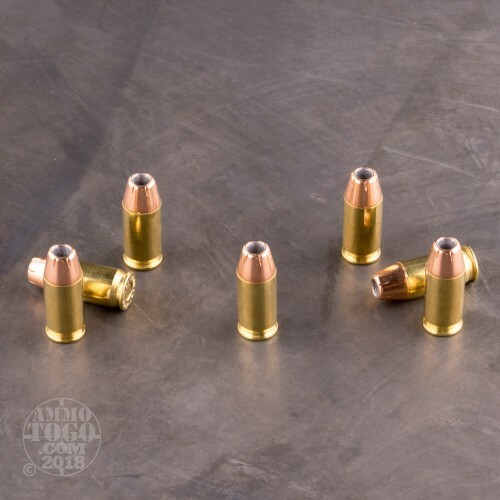 Each round is loaded with a 230 grain XTP jacketed hollow point projectile. XTP bullets are renowned for their reliable expansion across velocities. Built to deliver effective, controlled terminal expansion and impressive weight retention, these projectiles hit hard, drive deep, and create a massive wound cavity for effective, threat-stopping performance. Use these loads for personal protection, home defense, and concealed carry applications. These +P overpressure rounds produce an impressive muzzle velocity of 950 feet per second and a muzzle energy of 461 foot pounds. This ammunition is factory fresh, non-corrosive and features high-quality boxer primers and reloadable brass casings.